Caswell House is one of our very favourite regular venues, where we often install fairy lights for wedding receptions taking place in the main Wenman's barn. 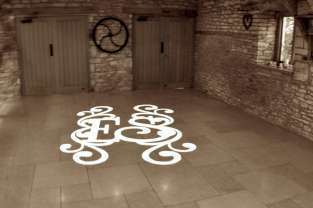 On this occasion however, we were asked to project a custom, personalised monogram onto the floor at the end of the barn. 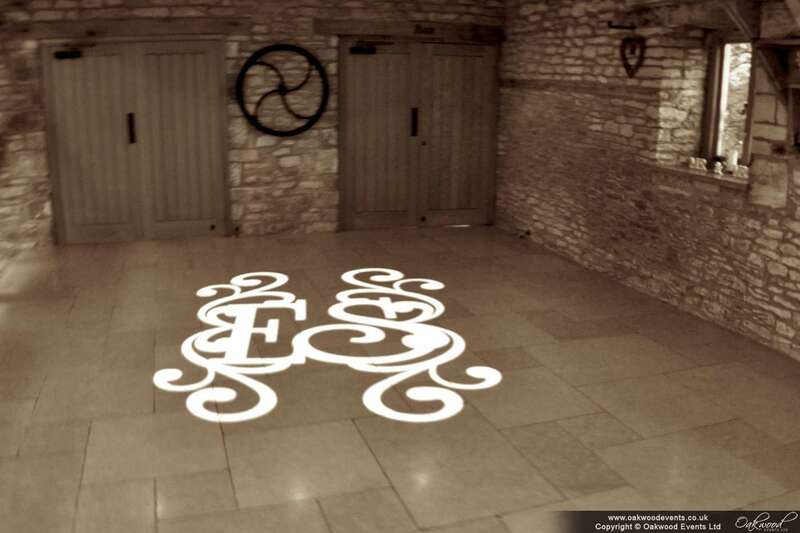 The area under the balcony at the entrance to Wenman's barn is slightly more sheltered from natural light than the rest of the room, making it the perfect place for a projected monogram as it's easily visible all day. 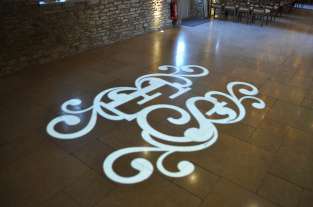 The projector was mounted disrceetly to one side of the area, placing the large monogram central to the floor. We think it looked great, and the bride was over the moon! The design of the monogram can be personalised to include initials, dates or names and can be produced in various styles. To discuss monogram projection or any other lighting at Caswell House, please feel free to contact us, or take a look at our main Caswell House Lighting page.